Nice to see hardy Deuce patrons braving all weather conditions in order to not miss out on ENDLESS LUST! 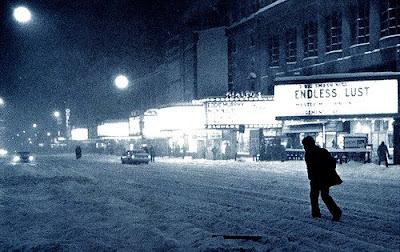 I imagine there may have been a few stunned movie goers who bought a ticket for a double or triple feature, emerging hours later to find the streets choked with snow. Right on Grandmaster, I'll go with ya!